The Old Cracker Barrel | Turning my world upside down! 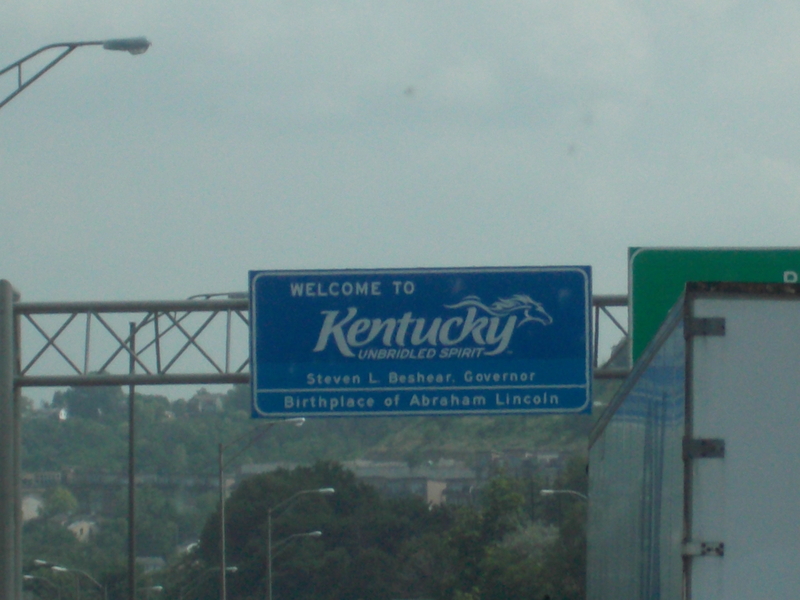 We drove so far south through Ohio to Indiana that we passed into Kentucky. We left southern Indiana headed north to join the I-80 which would take us West through Illinois, Iowa and Nebraska. It had been quite a bit of a detour to go to the Chateau de Pique winery the day before, but it was worth it. The first stop was just outside of Seymour, Indiana for a bit of shopping at Walmart for groceries and a pair of shorts for me. I had brought two pairs of shorts for the trip, one navy without pockets (most inconvenient) and the other white. Of course the white pair had wine spilled on it the night before as I got up from my seat in the camper and the pillow that was supporting my back fell forward and toppled my glass of red wine. The shorts will benefit from a good bleaching, but I needed more than one pair to see me to the coast and the lower BC mainland where we will be able to use my mother-in-law’s laundry facilities. As any rate, I tried on several pairs of shorts and settled on 3 pairs, one white, one blue and the other in a bright fuchsia. They all have pockets and at $11 and $13 each, it was hard to resist, right? Back on the highway, we would often come across the Old Cracker Barrel store. I was told by our new friends Lucien and Helen, very experienced boondockers, that this was a place to stop for the night. As the miles rolled on, Leon and I got more and more curious about this place. We were talking about staying in a parking lot for the night and saving a bit on camping, so this seemed like a great opportunity to try out Lucien’s favourite place. Somewhere in Indiana, we happened to get off the highway for gas and a Cracker Barrel was located just a couple of hundred metres away. So we dropped by! Well the store does advertise itself as an old time store and that is what it looks like when you enter. We were greeted by a lovely hostess who explained that it was a gift shop and restaurant, serving breakfast all day if we wanted. Good to know. We browsed around a bit and found some lovely merchandise (ok Marlene, I am not taking you there or we are not getting out without dropping some serious dollars), from clothing to décor. We thanked the hostess for the information and assured ourselves we could stay the night if required. So now we had a plan, drive as far as we could and stop for the night at a Cracker Barrel. As the day wore on, it rained on and off and the terrain turned to hilly and very green as we crossed Illinois and made our way towards DesMoines, Iowa. Leon started to get a bit tired, so he asked me to find the next Cracker Barrel restaurant. Of course, it turned out we had just passed one and the next one would only be coming up in about 150km or more. So we started to look for other options. Iowa is much hillier than I thought. The quintessential country road, complete with the railway crossing. We walked down to the house, almost. About 2 kms there and back. After a few stops at large truck stops, we found just the thing – a family grillhouse in Grinnel, Iowa. I have never been to a restaurant like this one. You order your salad bar and soup and then decide if you want to grill your own meat or have the staff do it for an extra $3. Leon and I settled on sharing a 10oz sirloin filet which I grilled to perfection on the large grill which basically looks like a big kitchen island made up entirely of a charcoal grill. At any one time, you might have a dozen people all grilling their meat while enjoying their salads and texas toast. Dinner and a beer cost us $36, a very fair price considering we parked out back for the night. After eating that large meal (we are starting to eat like seniors with our smaller portions, no? ), I insisted we take a walk down the country road adjoining our parking lot. We walked about 2kms along corn fields and tried to identify the other crop. Leon’s best guess was soybean, although for a long time while driving, he thought it was spinach. Yes right, Popeye!! We retired very, very early. Leon didn’t even make it to sunset. I sat up and read as the temperature cooled enough for me to finally sleep under the duvet. We both slept so well and woke up just after sunrise, sometime after 6am. Coffee was at McDonald’s and breakfast was a great omelette I made at the rest stop outside of DesMoines. I can’t find your comment on the Cracker Barrel! Well, we tried to stay there last night but it was awful. We were alone in the parking lot and some hooligans kept lighting firecrackers nearby. I didn’t feel safe so we finally moved to the nearest Walmart and finally got some sleep. No it was a suggestion I left in a comment at the bottom an early post where you were setting out on your trip & were having drinks with friends but went to bed at 11pm as the female friend had to work the next day!